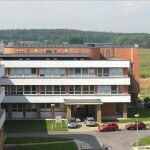 The University of South Bohemia was established in 1991. 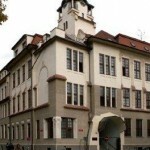 Its basis was for med from the two oldest faculties – the Pedagogical Faculty (founded in 1948, formerly a branch of Charles University, then a separate faculty), and the Faculty of Agriculture (founded in 1960). The Faculty of Science, the Faculty of Theology and the Faculty of Health and Social Studies were the newly established faculties. 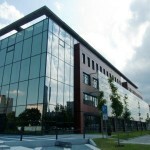 The youngest faculties of the university are the Faculty of Philosophy (since 2006), the Faculty of Economics (since 2007) and the Faculty of Fisheries and Water Protection (since 2009). At present, it is a total of 8 faculties. 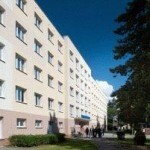 Currently, the university has focused mainly on natural sciences, social sciences, and humanities. Accredited Bachelor, Master and Doctoral study programmes form a broader educational basis for 246 study branches with a range of specializations in a full-time as well as a part-time study form. 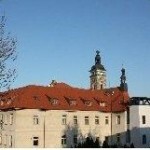 Lectures and seminars of 24 study branches are conducted in the English language and 3 branches in the German language. Presently almost 13.000 students are studying at the university. Economics, Accountancy and the Financial Management of Enterprise, Mathematical Modelling in Economics, Economic Informatics, and Financial and Insurance Mathematics. - subsequent Master’s study may be carried out in the Management of Commerce, Accountancy and the Financial Management of Enterprise, Structural Policy of the EU and Rural Development, and the Management of Regional Development in English. - the research focus of the faculty reflects that of national research, the cooperation within the wider cross-border region of the Czech Republic, Austria, and Bavaria, and the South Bohemian private sector. - comprises the Research Institute of Fish Farming and Hydrobiology, the Institute of Aquaculture and the South Bohemian Research Center of Aquaculture and Biodiversity of Hydrocenoses. - offers Bachelor’s, Master’s, and Doctoral degrees in historical sciences (History, Archive Studies, and Archaeology), philology (Bohemian Studies, English Studies, German Studies, Romance Philology, the History of Literature, Romance Languages for the Economic Sphere, and Area Studies focused on Czech and German speakingcountries) and the theory of culture (Aesthetics and Art History). - the faculty also provides education for future secondary school teachers. - educates mostly future nursery and primary school teachers in all appropriate teaching subjects. 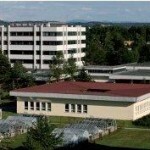 - the faculty also offers non-teaching Bachelor’s programmes, such as Education in Nature and the Environment, Sports Studies, and Geography for Public Administration, and Information Technology, as well as Doctoral study programmesin Information Technology, Pedagogical Psychology, and Mathematics and Biology in Education. - includes education of future secondary school teachers. Students may choose from a variety of study fields and combinations. - graduates work in various fields of scientific research, secondary and university education, state administration, healthcare, and the private sector. - focuses on research and education in theology and philosophy, social work, and education with an emphasis on Christian, ethical, and social values. - Graduates may work in church organisations providing educational, social, and cultural services, in social care and leisure facilities in the public sphere as well as in the media. - educates experts in the fields of health and social care. It also educates specialists in the operation of health technology. - An important part of our work is also the education of non-medical health staff. plant health care, and agricultural machinery. - among newly opened programmes are Biotechnology, and Biology and the Protection of Special-interest Organisms. - the faculty runs a number of important projects concerning the protection of the diversity of plant and animal gene resources, the application of molecular biological methods in animal and plant breeding, environmentally friendly.